Win Two Tickets for the Concrete Ghost Walk! Two sets of two tickets for the Concrete Ghost Walk! Two sets of tickets, two winners! The walk happens every Saturday in October, rain or shine, at 6 pm. Dress accordingly and feel free to bring a flashlight. Read more about the Concrete Ghost Walk. Contest ends 9/15 at 12 AM PST. 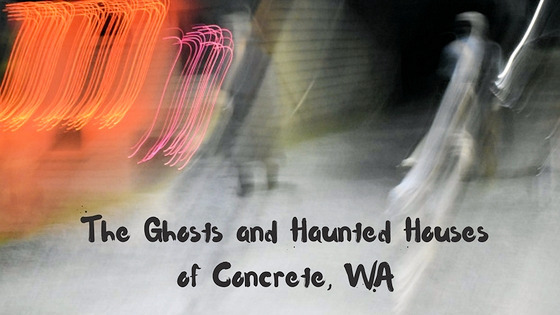 Some things you need to know about the Concrete Ghost Walk. Participants must be at least 16 years old and minors must be accompanied by an adult. No kids, no pets, no babies. Sorry, no exceptions. This is not a typical “haunted house” type activity; it requires walking, standing, listening quietly to stories. It’s a safe, enjoyable event for adults interested in history and the possibility of spirits who hang around! By entering the giveaway, you agree to subscribe to Small Town Washington & Beyond and receive monthly newsletters. Are you ready to experience the Concrete Ghost Walk?